Meridian Energy has made health and safety its number one priority. The company has shifted its focus from compliance and awareness to a drive on getting staff to 'own' the issue and understand their ongoing role in the achievements being made. Only then can world-class safety standards be achieved in a sustainable way, the company says. 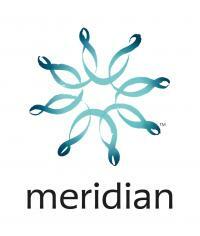 Meridian's success has been impressive with lost time injury rates falling to 1.8 in 2010 from 5.5 in 2009. But more important to the company has been the increased staff input into programmes and the positive safety culture that has resulted. Its goal is zero harm. General Manager Audits: Meridian's general managers are required to `walk the talk' by conducting two health and safety audits throughout the business. The audits, although based on ACC's Workplace Safety Management Practices Audit Tool, go beyond the legal requirements to implement Meridian's safety culture message and encourage continuous Improvement. Face-to-face audits with employees remove the hierarchy and encourage open sharing about safety culture. Zero Incident Process: The ZIP campaign aims to bring personal safety front-of-mind and encourages employees to think about their own attitudes to safety. Initiatives included site visits to the Rio Tinto Aluminium Smelter to see safety practices there, fortnightly team meetings and pizza nights to talk about safety with families. The Apprentice House: Meridian believes that teaching its young apprentices the best health and safety practice is of vital importance. It built a mock dwelling at Twizel so that its electrical trainees can practice skills under controlled conditions, rather than being exposed to risk and poor safety practices on commercial sites. Continuous Improvement Tool: This forward-looking programme seeks ways to improve safety practices. The organisation is divided into six sites with each required to report monthly on performance against 14 specific areas of site safety, including things like hazard management, site improvement plans, and adherence to procedure. The ultimate goal is to encourage continual improvement by asking the question "what can be done to improve health and safety performance across the board?" Internal safety calendar: Meridian last year produced an in-house calendar that promoted health and safety as a way of life. Employees were photographed in sporting scenes with memorable safety messages attached introducing a personalized approach to the common safety message. In 2011 the Excellence in Health & Safety Award category was sponsored by Siemens.